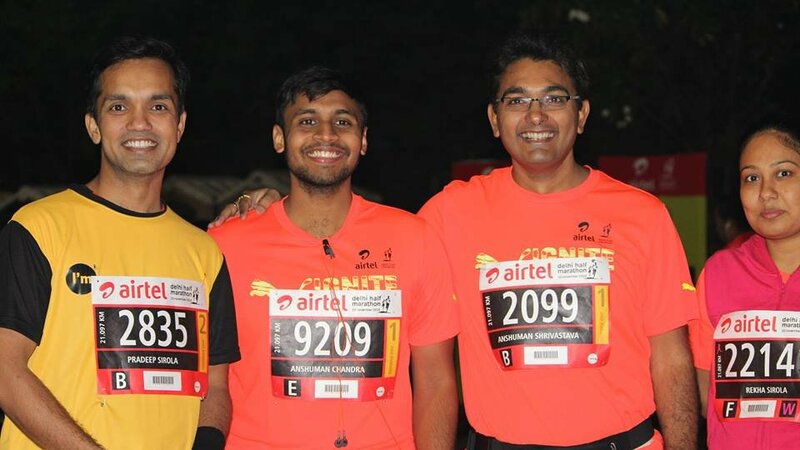 The Corporate Cares fundraising category for the Airtel Delhi Half Marathon 2018 lends companies an opportunity on one hand to monetarily support an NGO of their choice and on the other hand to sponsor employee teams to participate in the Event. Bal Utsav, as an empanelled, participating NGO with India Cares Foundation for the Airtel Delhi Half Marathon 2018, look forward to your donations/ contributions in making this partnership for education, a grand success. Team 60: A company makes an upfront non-refundable contribution of Rs 5,00,000 in favour of Bal Utsav and fields a team of upto 60 employees. which they can use to motivate their team members (on request). day to cheer their participating team, provided the company is participating at ADHM 2018.
event’s official photographers, www.marathon-photos.com). To be eligible for this, the team member must have raised a minimum of INR 25,000/- for his/ her chosen cause ( here Bal Utsav ) on or before 30th Sep 2018.
employees have raised a minimum of INR 1,00,000/- funds through the ADHM 2018.